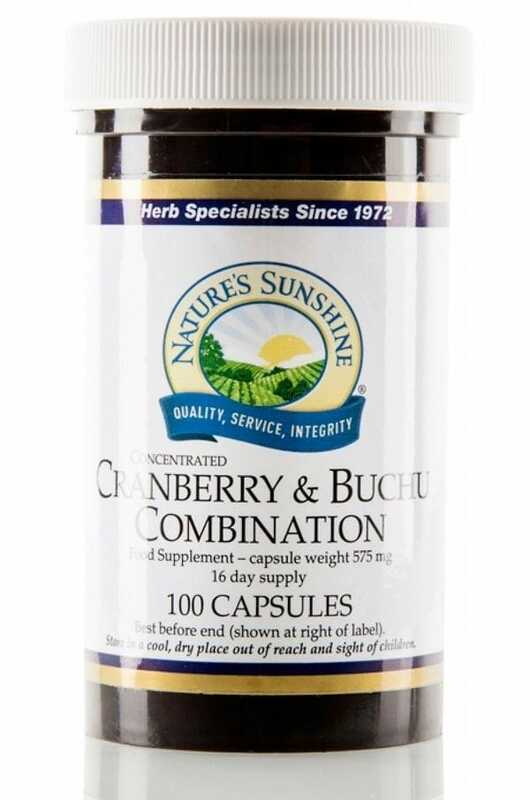 Nature’s Sunshine combines cranberry juice concentrate with Buchu herb concentrate. Separate scientific studies have concluded that cranberry juice contains substances that alter the bacteria population in urine, and a special factor in the juice seems to make harmful bacteria less likely to cling to the surface of the urinary tract. Buchu’s powerful penetrating aroma is akin to peppermint. Careful processing reduces the liquid to a concentrated powder before encapsulation. Ingredients: Cranberry fruit (Vaccinium macrocarpon), capsule shell (gelatin, water), buchu leaf extract (Barosma betulina). Bulking agent; maltodextrin, anti-caking agents; magnesium stearate (vegetable), silicon dioxide. Each six capsules contain: Proprietary blend 2610 mg.